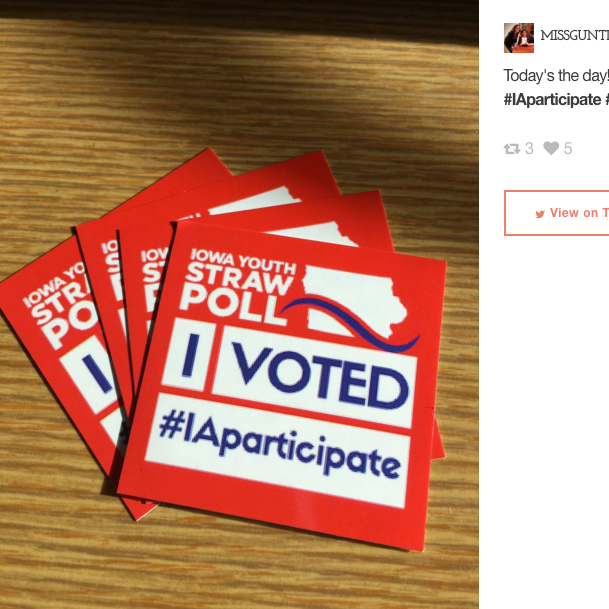 The Secretary of State office partnered with me to engage high school students across the state of Iowa for their Youth Straw Poll that took place on November 1, 2016. 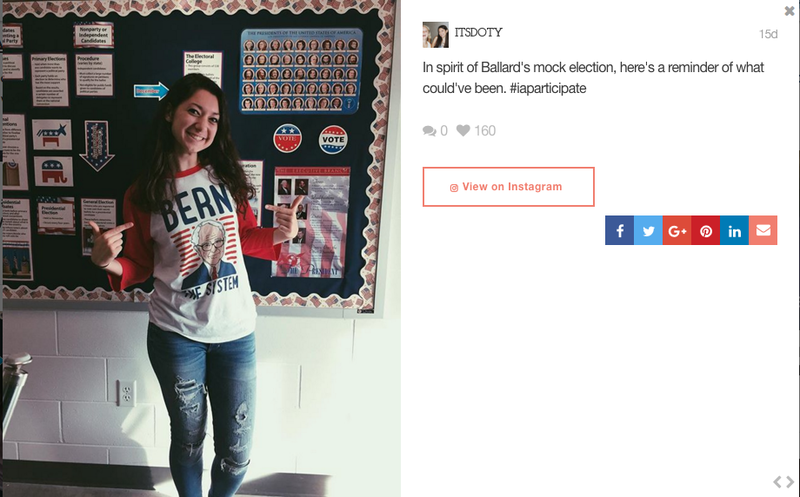 The goal was to create a campaign that resonated with students ages 14-18 showcasing the participation of physical mock voting in over 300 high schools across the state. Since the actual event was taking place in physical schools across Iowa we needed to activate students to share the experience on social media. I crafted the #IAparticipate sticker to resemble the "I Voted" sticker at real voting stations. Brands love to talk about themselves but what's even better? When others talk about you. Collateral was sent to each school encouraging them to share via social. See all user generated content below. To encourage early participation students could share via #IAparticipate why they wanted to participate in the LIVE event and represent their school. CREATE & AMPLIFY FIRST "LIVE EVENT"
For the first ever SOS Facebook LIVE event I created a mock "election night" coverage. The event lasted 60 minutes and generated more than 10,000 views and over 20K people reached. More than 20 students were selected from across the state to join in sharing the LIVE results (seen below). In less than 24 hours we were able to generate the following results. The numbers below indicate impressions, reach and content for Twitter & Instagram alone. Facebook generated over 50K impressions separately. Below are just a few of more than 100 user generated pieces of content from 24 hours alone using the #IAparticipate. To see the full collection of content visit elections101.org/iaparticipate/.